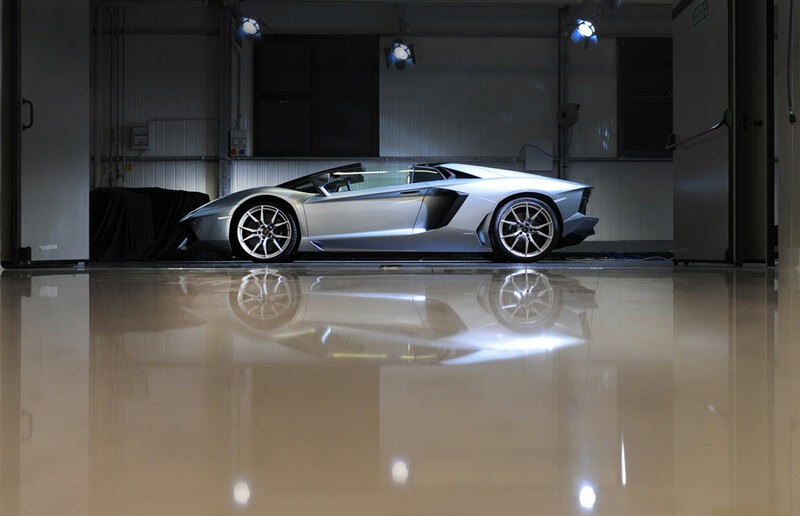 The 2013 Lamborghini Aventador LP 700-4 Roadster is considered as one of the most exciting series production ever built by Lamborghini. 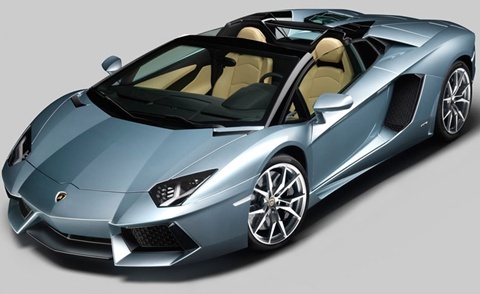 The Roadster is a convertible version of the Aventador which is easily recognized from its unique profile. 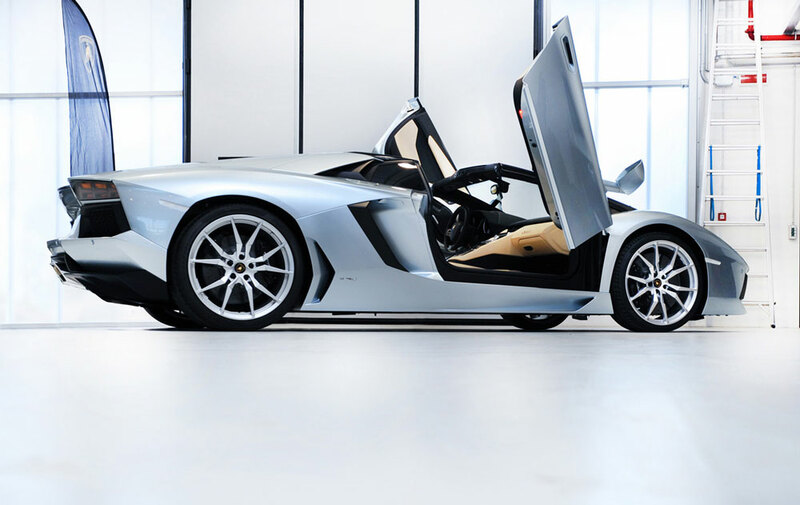 The supercar design combines elegant style, performance and enjoyable driving experience. The Aventador Roadster comes with a 6.5L V12 power train that combines with an AWD system producing 700 horsepower and 509 lb-ft of torque. An ISR 7-speed transmission is mated to this engine, enabling the car to accelerate from 0 to 60 mph in 3 seconds and reach a maximum speed of 217 mph. Other performance related features include: a push-rod suspension and a cylinder deactivation system that assists in reducing CO2 emission as well as keeping the fuel consumption very low. The new Roadster features a design language that is similar to the coupe version. 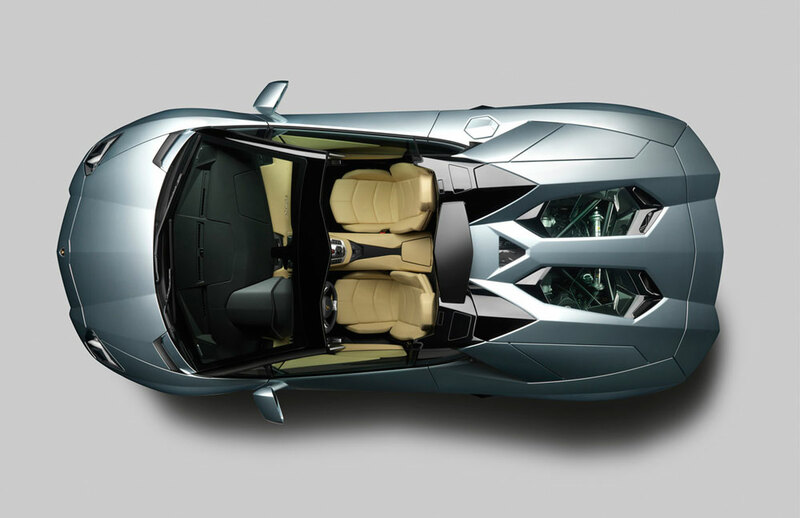 However, Lamborghini made a few modifications for the open-top model. These include: a redesigned rear pillar, and the bonnet now comes with a central spinal column that allows better engine cooling and provides better view of the engine. The two-piece roof of the Roadster is made of carbon fiber and features advanced technology. The exterior is available in a two-tone finish whereby; the two roof sections, rear window and the windshield pillar are draped in gloss black, while a light metallic blue coat covers the rest of the body. The Roadster is fitted with 20-inch front and 21-inch rear Dione aluminum-forged wheels. The interior comes with a large LCD screen for instrumentation just like in the coupe version. A separate LCD display that houses stereo control and navigation system function is also included. The seats are made of special leather known as Sabbia Nefertem. Other standard interior features include: anti-slip control, hill start assist, ESP stability control, drive select system, ABS and electronic brake distribution. 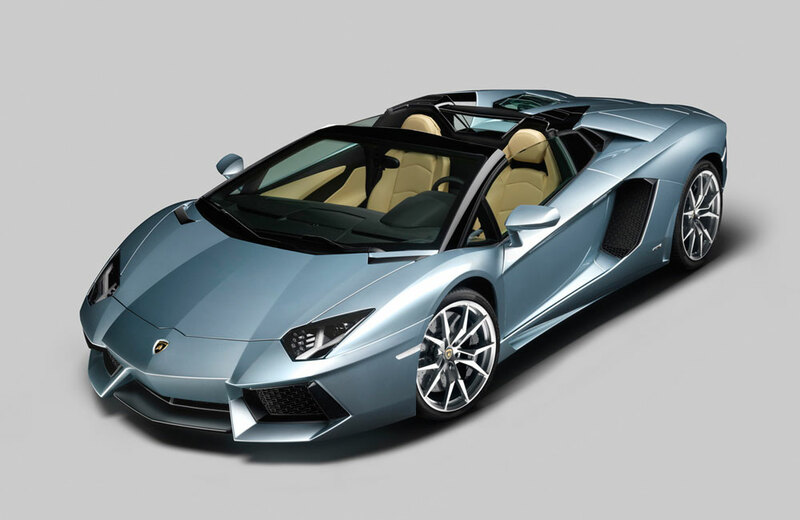 The 2013 Lamborghini Aventador LP 700-4 Roadster is a supercar to watch out for in the future. The Huayra and the McLaren MP4-12C will prove to be great competitors for the new Aventador.